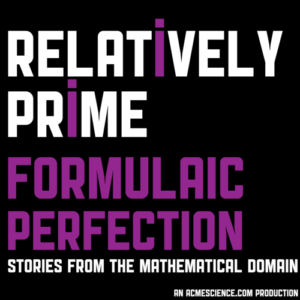 We are happy to bring to you a special holiday episode of Relatively Prime during this festive period. Samuel is joined by old pals Katie, Peter, and Christian from the Aperiodical for an often funny, sometimes serious, and always entertaining conversation about the phenomenon of formulas for “The Perfect X” which are often seen in newspapers, especially around the holidays. Some of the examples discussed were the perfect Christmas song, perfect Christmas tree, perfect penalty kick, perfect scone cream ratio, perfect Christmas day, and here are plenty of other ones too that the Aperiodical has gathered. Happy Holidays!! !